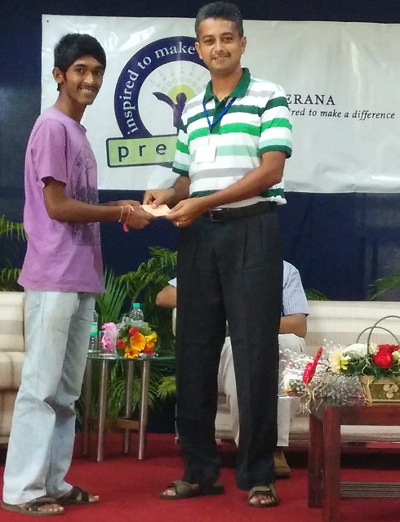 The Scholarship Disbursement For Meritorious Students under the aegis of Prerana, Infosys, Mangalore, Vidyaposhak, Dharwad, Dhrithi Foundation, Mangaluru, and Yakshagana Kalaranga, Udupi was held on Sunday, 18th October 2015 at Infosys Campus, Kottara, Mangalore. 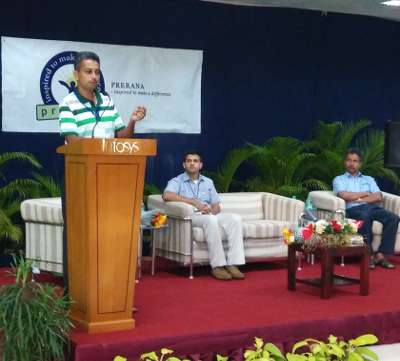 Mr. Ganapathi Bhat Balike, Formerly at Infosys, Mangaluru, was the Chief Guest on the occasion. 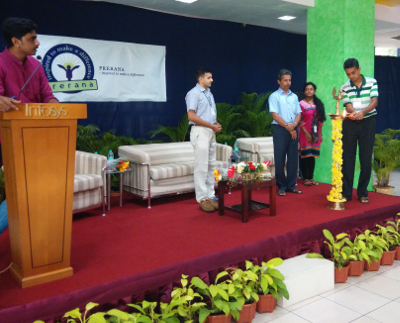 A total of 407 students, including those pursuing professional courses, from Udupi, Dakshina Kannada and Kasaragod districts were supported to the tune of Rs. 1693,000. Out of this Rs. 11,88,000 was contributed by Prerana, Infosys, Mangalore and the rest by other donors of Dhrithi Foundation, Vidyaposhak, Dharwad, and Supraja Foundation, Hong Kong. The total amount of scholarship provided to students from Dakshina Kannada by Dhrithi Foundation-Vidyapohak and Prerana was Rs. 7,57,000, of which Rs. 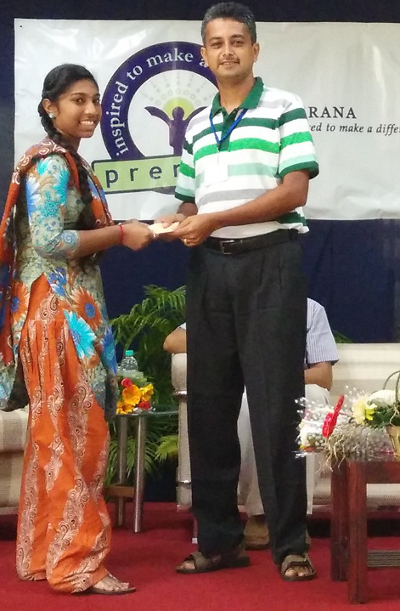 2,49,000 was provided by Prerana, Rs. 81000 by Vidyaposhak, Dharwad and Supraja Foundation, Hong Kong (through Vidyaposhak, Dharwad), and Rs 4,22,000 by Dhrithi Foundation donors. Of this, Rs. 89000 was provided to 46 newly selected students and Rs.6,68,000 was provided to 248 renewals. This is the tenth year that Prerana, Vidya Poshak and Dhrithi Foundation are extending support to the needy meritorious students of Dakshina Kannada district.